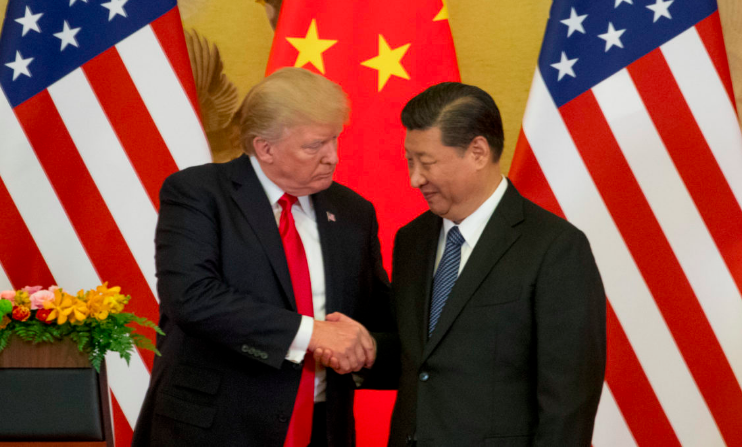 Through threatening even higher tariffs on China, Donald Trump is upping the pressure on China to change its trade practices; and ultimately the state-sponsored industry that underlies them. At the same time, through forging a trilateral partnership with Japan and Australia, as well as boosting ties with India, Trump is seeking to contain China and its international ambitions which are best epitomized by the Belt and Road Initiative (BRI). That is to say, the former measures seek to change China’s internal economic mechanisms while the latter seek to change China’s external economic mechanisms. Yet, what no one is talking about is the potential trade-off between the two, the possibility that Trump’s tariffs may actually boost China’s BRI. i) Trump’s tariffs impose a tax on goods made in China. US customs authorities collect the tax. This tax erodes the value of Chinese imports into the US, and ultimately, the revenue of Chinese companies. ii) Chinese companies still recognize the importance of the US market, and look for ways to circumvent the tariff and sell into the US. iii) Crucially, the tariff applies to goods made in China. That is to say, if a Chinese company produces the goods in a different country, then exports into the US, it will not need to pay the tariff. The Chinese company would still repatriate the profits back to China however. iv) Hence, Chinese companies, are incentivized to relocate their production abroad. This in turn bolsters the Belt and Road Initiative. This trick is not new, yet seems to have been blatantly ignored by US policy makers in the context of the trade war. Of course, it is not in the interest of Chinese companies to advertise the fact they are exploiting discrepancies in the application of US tariffs. Let’s take some historical examples. In 2012, the US Department of Commerce’s International Trade Commission imposed tariffs on solar panels produced in mainland China. Yet, Chinese companies responded by moving their production to Taiwan. In 2015, the US extended the tariffs to Taiwan, yet Chinese manufacturers still had many other options including Vietnam for production purposes. The US was unable to close the loophole, and was unable to save US solar companies from international market pressures. Apparel is another example. Restrictive US quotas on Chinese apparel imports have incentivized Chinese companies to relocate abroad. Africa benefits from preferential access into the US market through the African Growth and Opportunity Act (AGOA), and as a result, Chinese companies have moved their production to Africa, including Huajian shoe company which has presence in Ethiopia and C&H garments in Rwanda. A 2012 University of Oxford study verified these findings. We are still in the early stages of this trade war, but as the scope of products included increases, and the tariff levied is raised, the incentive for Chinese companies to move production abroad will only be strengthened. Discussions have already started between China and Vietnam to create manufacturing hubs on the Vietnamese side of the border; such that Chinese companies could register there, claim their products are ‘Made in Vietnam’ and export to the US. It would be difficult for the US to prevent Chinese relocation from happening, given that the only way of consistent implementation would be to apply equal tariffs across all countries that could serve as potential manufacturing hubs for Chinese companies. This is not feasible, nor fair on local companies in these markets.